Mariah Dunning has been a member of the Orcas Island Community since 1988. After graduating from Orcas High School with honors, Mariah attended Vassar College where she majored in International Studies. From New York, Mariah traveled to the Caribbean, where she lived aboard a sailboat and experienced what this archipelago of islands had to offer. After spending nearly four years in the Caribbean and Latin America, Mariah returned to Orcas Island to reclaim it as her home. Mariah has been a full time resident since 1997. She currently lives just outside of Eastsound with her daughter Serafina, her husband John, and their dog Winnie. An active member of the community, Mariah is a past member of the Orcas Island Lion's Club, has served as 2nd Vice President, and is a member of the Chamber of Commerce. 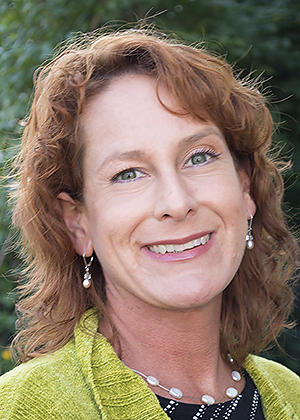 She also has held several positions on the board of the Orcas Island Association of Realtors, including Education Coordinator, Vice President, and President. In 2004, Mariah completed the program to obtain her Certified International Property Specialist designation. Mariah is also a member of the Mexican Association of Realtors (AMPI) and the Trans National Referral program (TRC). Mariah's real estate repetoire has also expanded into the commercial field. She is a member of the Commercial Broker's Association and a Certified Negotiations Expert. Mariah accepted the position of General Manager/Managing Broker of the Windermere Orcas Island office in 2008. She takes great pride in collaborating with the Brokers in her office to provide clients the best possible service and real estate experience. Mariah has been a small business owner for 21 years. She has taken her experience in marketing and sales and applies these skills when working with clients in real estate. With the support of the Windermere Orcas Island team, as well as the Windermere corporate organization, Mariah implements multimedia marketing plans tailored specifically to each listing. Mariah's commitment to the community and her strong ethics make her an outstanding choice for selling your property.